284,87 € прибл. 20.564,39 руб. T-CYMBALS Air Ride Cymbal, 24"
T-Cymbals is the farm shop among the pool manufacturers - each pool is unique, 100 percent handmade and therefore by no means a conveyor belt product. For ten years, the founders designed and marketed cymbals for other manufacturers until the decision was finally made for the T-Cymbals birth. The Istanbulers describe themselves as"pool fanatics", who not only invest a lot of effort in the production of their custom-made pools, but also love to play them themselves. A pelvis also passes as hand-hammered when a mechanical hammer operated by an expert is hammered into it; only this is far less impressive than the traditional procedure. T-Cymbals promise that their cymbals are shaped by hand and each one ends up as a unique piece with the buyer. This manufacturing process makes the sound of the T-Cymbals darker, generally deeper and somehow more natural. Certainly a matter of taste, but they have created their own niche. 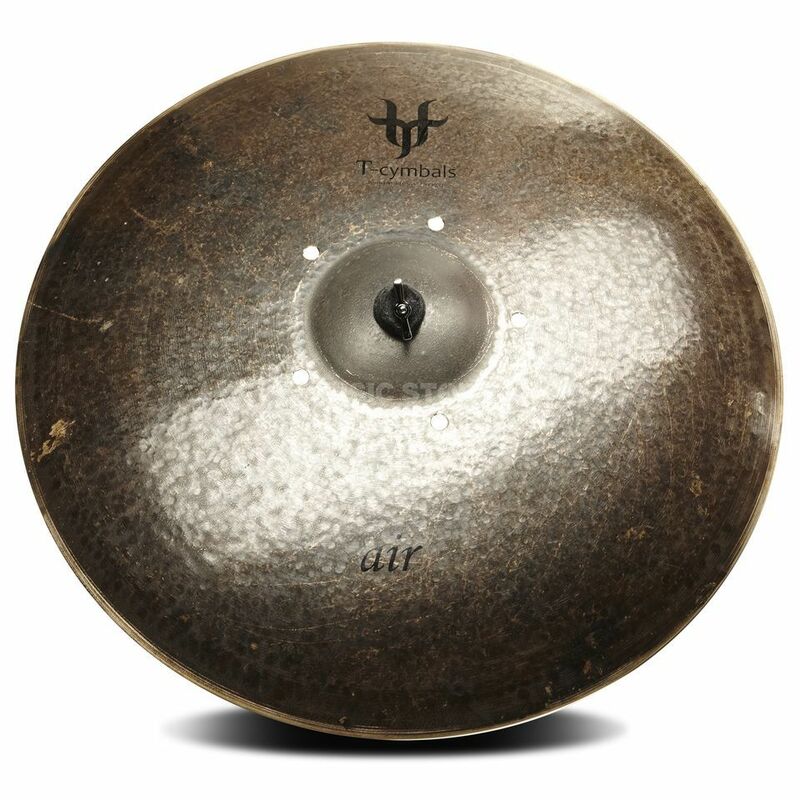 The"Air" series from T-Cymbals is made of a B25 alloy and has holes arranged in a circle towards the centre, which provide a powerful touch with shortened sustain. The basins of the series have a rustic appearance, as if they had just been hot as hell hammered by a blacksmith. And that's how they sound: earthy, trashy, but to the point. The "Air" series is in good hands in the comfortable rock or jazz area.